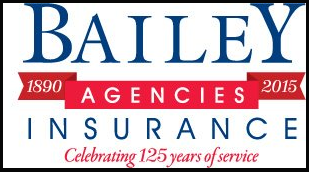 We Welcome the Bailey Insurance Agency to the Smith Brothers Family. April 6, 2018 | GLASTONBURY CT – Smith Brothers Insurance, LLC has purchased the assets of Bailey Agencies Insurance of Groton, Connecticut. Bailey was founded in 1890 by Henry Bailey to help protect families and businesses throughout the Southeastern Connecticut region. Owned and operated by the Scott family since 1980, Bailey Agencies Insurance has been a long-term fixture on the Southeast Connecticut shoreline. Bailey Agencies Insurance has moved to the Smith Brothers office in Niantic, Connecticut, at 377 Main Street. With headquarters in Glastonbury, Connecticut, Smith Brothers is an independently operated, Top 100 Broker in the U.S., and has offices throughout Connecticut, and in Massachusetts and New Jersey. John Scott IV, CIC, former Bailey Agencies Insurance principal stated, “Smith Brothers will help us perpetuate a longstanding agency, deliver broader market scope and access, and add to the basket of deliverables we offer our clients.” Scott will continue his role as commercial lines producer, and along with two other insurance professionals, will work from the Smith Brothers’ Niantic office. Smith Brothers Insurance is an independently operated, Top 100 Broker in the U.S. We help organizations and individuals manage risk, protect assets and grow. Founded in Hartford, Connecticut in 1971 by brothers, Bob and Brian Smith, Smith Brothers Insurance has expanded to more than 180 professionals that help protect clients from risk and uncertainty. Our Be Sure Promise is our commitment to quality and high standards of conduct we strive to bring to all clients and other stakeholders. We deliver on our promise because of our core values – trust, respect, creativity, fun, and our big purpose of helping others. Smith Brothers is licensed in every state in the U.S. and protects risks all over the world. Headquartered in Glastonbury, Connecticut, our offices are throughout Connecticut, and in Massachusetts and New Jersey.